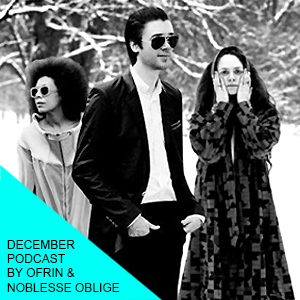 Singer-songwriter Ofrin and electro duo Noblesse Oblige teamed up to curate a winter holiday mix ranging from electro-pop to easy-going experimental, and showcasing their own tracks and collabs with fav artists. The mood is as soft as a snow-covered forest, with snowball fight energy peaks, perfect for December and the end-of-the-year break. (Re)Discover Noblesse Oblige’s side projects: Femme Façade, Valerie Renay and Die Wilde Jagd. As for Ofrin, her new album will drop in the spring. Book Noblesse Oblige & Ofrin for DJ sets or live PAs worldwide HERE.